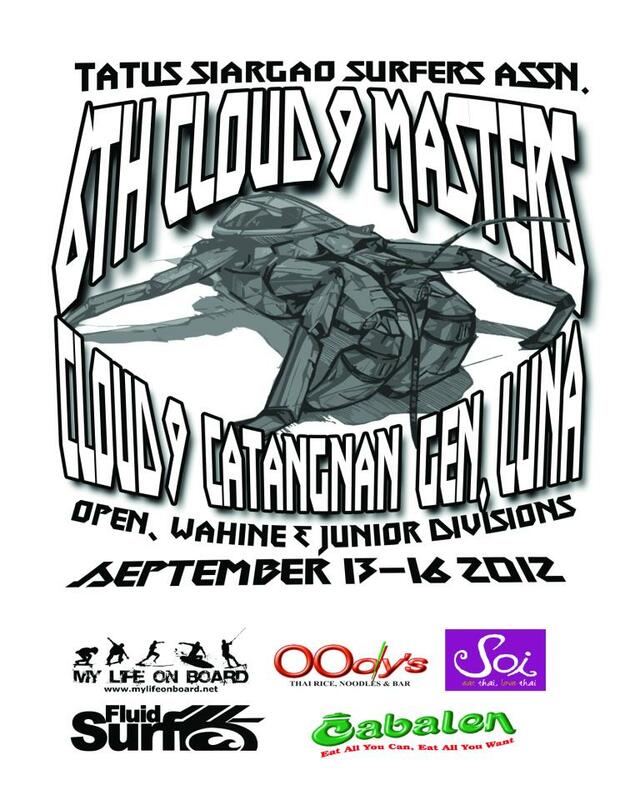 Get ready for the 6th Cloud 9 Masters 2012. 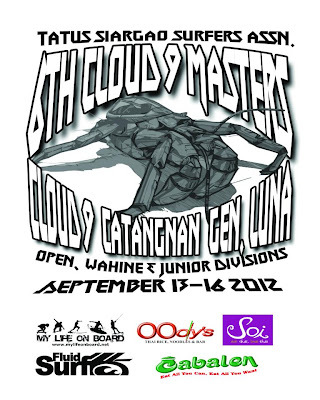 It will be held on September 13-16, 2012 at the world's famous surfing destination, Cloud 9 in Catangnan, Gen. Luna, Siargao Island, province of Surigao del Norte. There will be 3 categories: Open, Junior and Wahine Division organized by the Tatus Siargao Surfers' Association in cooperation with the Office of the Municipal Mayor of the Municipality of General Luna. So, what are you waiting for? Go to Siargao and enjoy a weekend of world-class surfing action! Don't miss it! I miss it. I came too early in Siargao this year. I wish I could go back there this month.